Turning down the fearful who are in power is tricky. Why? Fear itself is tricky. The wise of us know and name fear; the rest of us respond to it indirectly by using phrases like “Life handed me a bum deal”, “I’m stuck where I am,” or “This is really as good as it gets.” Too often the reason we box ourselves in is because we fail to see what is behind our impetus or plateau, and the flatline on the heart monitor of our lives is fear. Think about this. You’re not bored; you’re afraid to try new things. You’re not in a dead-end job; you’re afraid you’ll fail if you try something else. You’re not damaged relationally; you’re afraid to rethink the lot you have been handed. A ruler who was so deeply fearful was Herod. 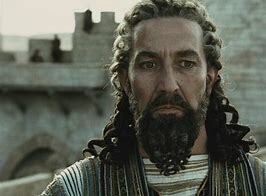 What made him shake in his shoes was the title given to him by Rome, “king of the Jews.” No one knew this irony more than he did because he was never accepted by the Jewish people. Yes, he was a master builder of cities, and yes, he was the lavish rebuilder of the Temple in Jerusalem. He may have even built a wall that both political parties of the day could agree on, but the dude, to use the colloquial, was a hot mess. What made it all worse were these unexpected dudes from the east who showed up looking for…you guessed it…the King of the Jews, the Messiah Himself. Insecure, Herod flips. But the magi don’t. Male infanticide was a far worse order than Herod killing one of his wives and his own child, yet with all of the political and personal upheaval these eastern visitors experienced firsthand, the magi weren’t rattled by the rattled king. Instead, they did exactly what they intended to do since they began their journey, and that was to find and worship the true King, Jesus. God knew exactly what God was doing when He sent His Son to live under the reign of this narcissistic, power-hoarding “king.” God also knows exactly what He is doing with you, too. Don’t be rattled by a rattler. Do your thing. Listen to your faithful God, not fearful god-wannabes. In other words, be a magi. See the big picture, not political ploys and childish antics. Travel as far as you need to travel. Know that on your venture you’re going to meet (and embrace) some amazing cultures from amazing people who are beautifully and wonderfully different than you are. Wait. This sounds a little bit like what Jesus did, doesn’t it? Didn’t He go as far as He needed to go, which was death on a cross? Didn’t He embrace others? Uhm. Yeah. He did. The poor Jewish carpenter’s kid from a border town Himself didn’t always hang with the Jews. He hung with the unclean Gentiles. And the scrappy. And the lame. And the broken ones who today are on welfare. Jesus just changed everything, didn’t He? He might have even changed you just now. He’s made me think—and see—things differently. I hope He has changed (and is changing) you, too. PRAYER: Sometimes I will still hold my fear, dear God. You know this. But help me know what fear is and where fear is so that, like those magi, I will continue to travel so that I, too, can worship You. Amen. This requires some deep thought… thanking you for your leadership…. we are so fortunate…. Betty Lou said it! We are so fortunate..we are blessed to have you as our spiritual leader.